His pronouncement has proved prescient, if not necessarily in the way he predicted. The first shots of the food revolution in the United States were, arguably, fired by Alice Waters at Berkeley’s Chez Panisse, who raised the banner on behalf of local, organic and sustainable cuisine. The political implications of mixed seasonal greens with local goat cheese have become clear over the decades. She, joined by other chefs and food critics, has educated diners about the health risks of pesticides, the environmental costs of factory farms and the carbon footprints of certain fruits and vegetables imported from South America during our winter. The solution proposed by countless politically-minded chefs has been to support small-scale farms close to home. And while the cause has been advanced by both humble food co-ops and celebrity chefs, spurring a locavore and farm-to-table movement that has swept across America in recent years, there are a few chefs and restaurants that have garnered particular attention for their use of local ingredients. Many of these chefs and their respective restaurants have also taken the extra step toward environmental practices, in some cases earning LEED-certifcation for their low carbon outputs and sustainability. 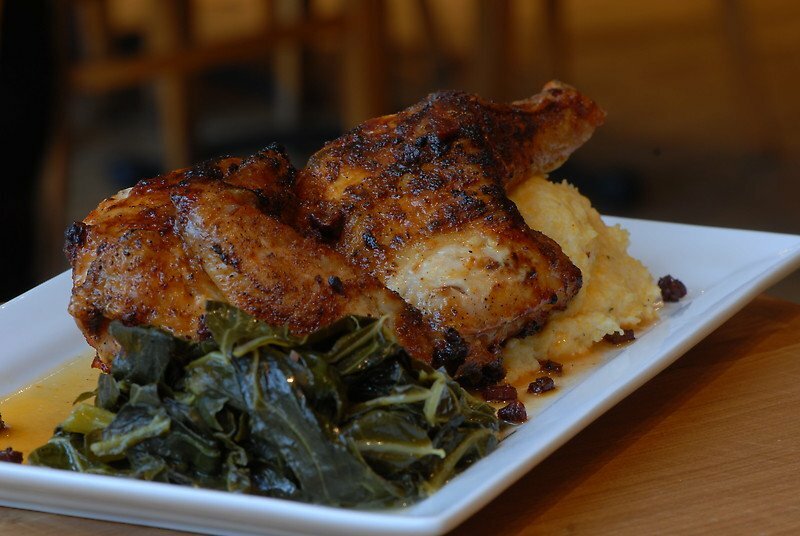 Quite a few eateries in the Washington, D.C. make area “best of farm-to-table” lists but Founding Farmers stands out from the rest of the pack. And no, it’s not because President and Michelle Obama are frequent visitors. It was Washington, D.C.’s first LEED Gold Certified restaurant and the first upscale-casual, full-service LEED Gold restaurant in the country. 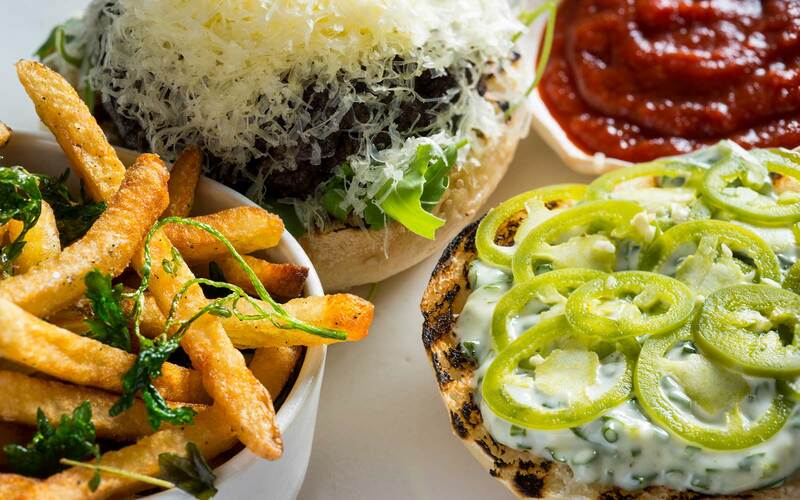 Since 2008, Founding Farmers has been an eco-friendly leader in the food and beverage industry. The 8,500-square-foot restaurant was built out of reclaimed and recycled materials—heart-of-pine wood from an old textile mill was used for the flooring—and utilized VOC paints and adhesives in its construction. Ninety percent of the construction waste was recycled. The restaurant has an in-house water filtration system, installed low-flow toilets in restrooms and uses biodegradable garbage bags and recycled paper products (even on menus) throughout the space. The restaurant is carbon neutral, offsetting 100 percent of it’s carbon emissions by purchasing green power credits. Then there’s the food. Founding Farmers doesn’t always use locally sourced produce and meat because it feels it doesn’t necessarily imply the smallest carbon footprint. Instead, the restaurant buys ingredients from 42,000 family-run farms around the country, thereby helping small farmers, ranches and fisheries and farming communities. Farms and fisheries include Anson Mills in South Carolina, Piedmont Ridge Farm in Maryland and Cleanfish in California. As a result, the food is flavorful and hearty and most importantly, good for you. Brunch showcases regional specialties such as New Orleans–style stuffed French toast and glazed yeast donuts. Supper draws in crowds because of its friendly atmosphere and lovely farmhouse setting. Diners relax at communal wooden tables or comfy booths under reclaimed wood beams and dine on dishes such as line-caught plank salmon and southern pan-fried chicken with white gravy. Even the wines, spirits and beer are organic or from small town distilleries and breweries. In 2010 we saw one of New York’s – and America’s – most important culinary figures embrace it as well. 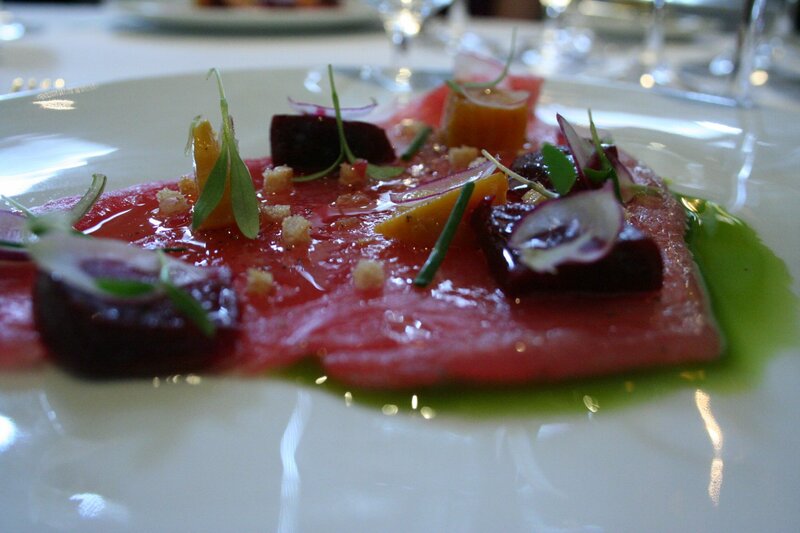 Simply put, a man synonymous with fine dining today has gone green. This is not to say that before the opening of ABC Kitchen, Jean-Georges Vongerichten was serving inorganic or unsustainable dishes, but one of the trademarks of his cuisine has been the exotic touches that can be traced back to his stint at the Oriental Hotel in Bangkok. Vongerichten’s dishes have long been scented by chilis, lemongrass and kaffir lime leaves at his flagship Jean-Georges and his Spice Market restaurants. At Prime, another if his restaurants, the grass-fed and organic steaks that dominate the menu are delicious but not especially sustainable. At ABC Kitchen, on the other hand, the menu is inspired more by the Hudson Valley than Southeast Asia, and while it isn’t vegetarian by any means, meat serves more as an accent rather than as slabs of beef. Here, Vongerichten explores the possibilities of local and sustainable cuisine: whole wheat pizzas are topped with Jersey tomatoes, the potatoes served with his classic blackened sea bass come from upstate. The décor of the restaurant also reflects the sustainable ethos: The menus are printed on recycled paper, tables are made from reclaimed wood and the vintage dessert plates and flatware reflect a commitment to reusing and recycling. The waitstaff is outfitted in studied casual outfits of Converse sneakers and flannel shirts – sometimes it feels like the entire borough of Brooklyn has been redecorated in a similar country farmhouse look – but we like that. While admittedly not the first of their kind, Vongerichten and his executive chef, Dan Kluger, have brought their own particular take on this craze. The free-range fried chicken arrives light as tempura, in a beer batter crust, and while I’m not sure what is local or sustainable about the caramel sundae, it would get my nod for dessert of the year. Other authorities were similarly impressed: The New York Times awarded ABC Kitchen two (of three) stars and the eatery also won the James Beard Award for “Best New Restaurant” of the year. Vongerichten’s rebirth as a locavore is, we hope, not a sign that a chameleon chef has found the latest gimmick to attract diners, and instead that when it comes to what and how we eat, ABC Kitchen is a sign that conscious and not conspicuous consumption is here to stay. Not only does the restaurant divert 95 percent of its waste from the landfill through a robust composting and recycling program, but they also produce onsite renewable energy. The interior design is warm and earthy, donning wooden table tops from trees that came directly from ones downed in Jackson Park in Chicago. Most notably, they built the first Certified Organic rooftop in the nation, which patrons can go up and visit. When dining there once, I was pleasantly surprised at how much time their rooftop farmer spent giving me the grand tour of his elevated bounty and explaining the building process. The rooftop is fit with solar panels surrounded by manicured raised garden beds of herbs, tomatoes and more. Obviously a rooftop can only supply so much for the restaurant, but the local concept goes beyond just their own building, to a commitment to source the majority of their food from local, sustainable organic producers – 24 percent of which comes from within 300 miles of the restaurant. Their menu is constantly changing according to the seasons, which makes each visit a unique experience that gives patrons a strong sense of time and place. While people rave about the fried chicken and collar greens, true midwesterners like myself will can vouch for their hearty meatloaf, made with local grassfed beef and of course, wrapped in bacon and served with mashed potatoes, brussels sprouts, and fried nordic creamery cheese curds (a product commonly found amidst Chicago’s lively farmers markets). For dessert, I’d venture toward the seasonal crème brulee or s’mores tart. They support the local economy by more than just helping out local farmers, but also local artisans, as you will regularly find local artist’s work featured inside and local musicians entertaining diners. They’ve even gotten into the local brewing business, boasting their own in-house brewery at one location called Greenstar Brewing, where they brew up seasonal, sustainable concoctions that are served up at the restaurant. On the spirits side, Uncommon Ground created what they call an “eco-cocktail”, the Agripolitan, featuring organic vodka and orchard fruits. This eco-cocktail program has raised funds to plant over 10,000 trees in India as well as to work with Chicago Rarities Orchard Project (CROP) to build a community rare-fruit orchards in Chicago. The eco-cocktail’s ingredients change according to the seasons with varying orchard fruits. They’ve also received accolades as a World Society for the Protection of Animals (WSPA) Humane Restaurant, The Governor’s Sustainability Award and the Green Business of the Year by the Chicago Chamber of Commerce. Bar Agricole is right at home in its stark, industrial surroundings of San Francisco’s SOMA (South of Market) neighborhood. 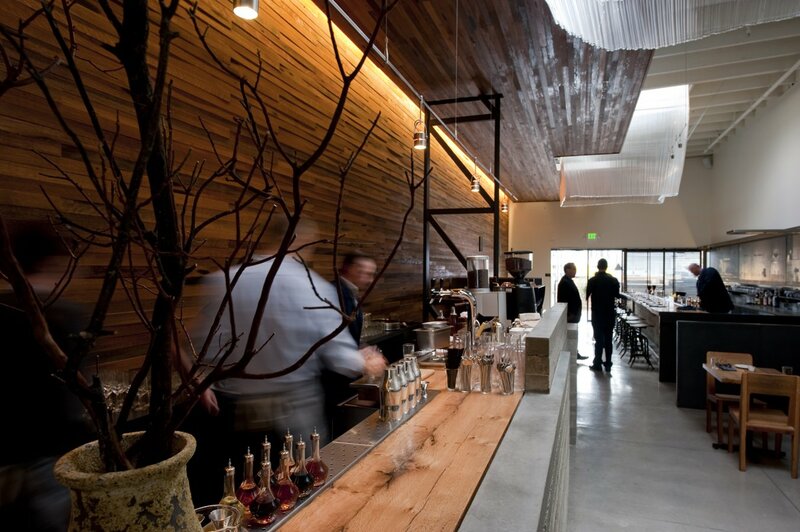 Intentionally austere and minimalist, the restaurant’s sustainable design is how they earned Gold LEED certification. That, combined with their local, seasonal, farm to table fare (this is San Francisco, after all) makes Bar Agricole a green giant. In fact, Bar Agricole says it could not exist without the organic and biodynamic farmers from which they source and claims these farmers are one of the main reasons why the restaurant came to be in the first place. “It’s a mutually beneficial setup: we get amazing stuff that makes our food nourishing and intensely flavored, while supporting the people who have made it their life’s work to care for the land, preserving and improving it for future generations,” touts their website. A main source of meat and produce for the establishment, Heart Arrow Ranch, started a RSA, or restaurant supported agriculture program (in the same line of thinking as a CSA, community supported agriculture program for individuals). The restaurant supports the farm financially in the early season in order to ensure they can acquire the necessary seeds and equipment up front. Eventually Bar Agricole reaps the benefits in the spring and summer of the cornucopia of fresh veggies and meat. Woodleaf Farm provides them with delectable local, organic fruits, La Tercera Farm offers chicory and other fresh Italian greens and herbs, Full Belly Farm garlic, and McEvoy Ranch organic olives and olio nuovo, just to name a few local suppliers. The restaurant will even go foraging for mushrooms like white chanterelles in Mendocino during winter, should the rains bring a good harvest to bear. Brandon Jew, coming previously from notable San Francisco locavore-focused restaurants like Magnolia, Quince, and Zuni, heads up the kitchen, which includes a hybrid gas and wood burning, eco-friendly Beech oven made from the oak at Woodleaf Farm. It’s not just their food that receives applause, but their drinks to boot, which contain farm fresh ingredients. The James Beard Foundation named Bar Agricole one of the five finalists for their Outstanding Bar Program award in 2012 and it has been nominated every year since. The emphasis on a killer classic cocktail menu instead of just great food can be attributed to Vogler, who has dedicated the better part of his professional life to being a bar manager or consultant to restaurants. His mission appears to have been to convince these establishments of the importance of tackling their cocktail and edible menus in an equally ingredient-focused fashion. But heck, why not just start your own restaurant and bar where you have complete control over your ingredients? Bar Agricole went to great lengths to ensure that every detail of interior design and décor of this single-story, 4,000-square-foot space reflected Vogler’s and architect Aidlin Darling Design’s sustainable sensibilities and respect for history. 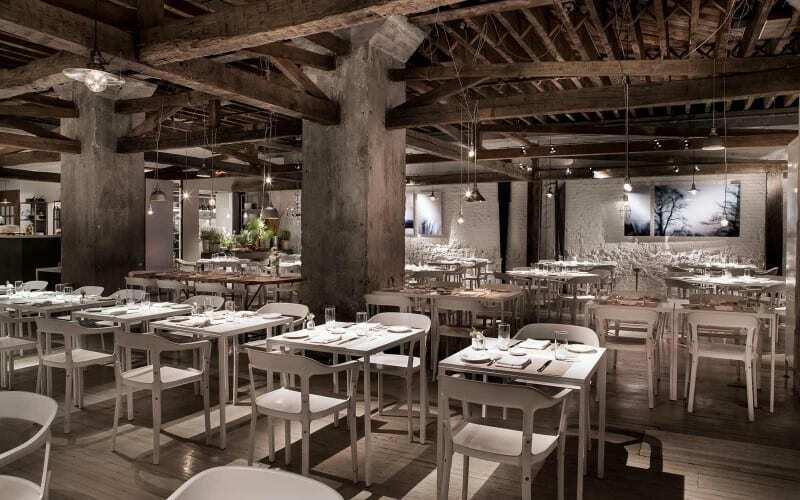 The restaurant was built inside a three-story historic corrugated metal warehouse and maintained its historic exterior. Chairs and tabletops were crafted by Sebastian Parker, a local woodworker, remarked, “All the wood for the chairs came from seasoned red wine barrels. According to the man who sold me the wood, the white oak was originally milled in France, coopered into barrels in Japan, and then sold to Firestone Vineyard in Napa Valley. They used them for half a century before I got to them.” The wood for Parker’s tabletops came from the reclaimed lumber of old Northeastern farmhouses. 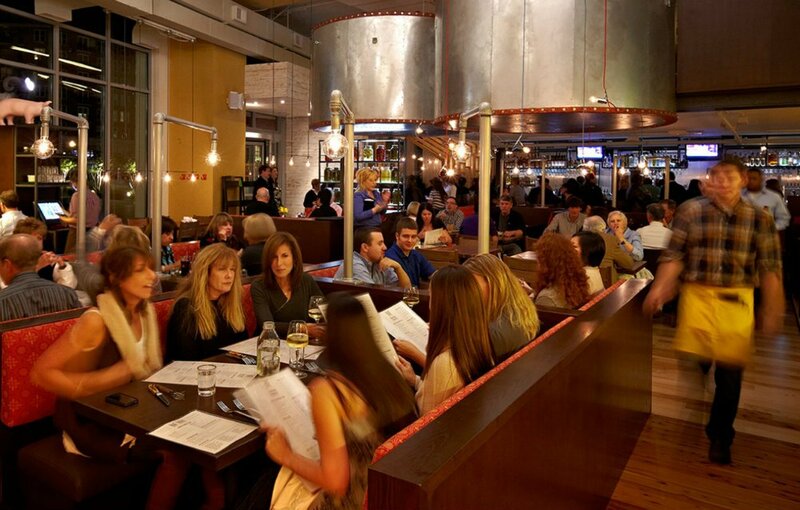 Concreteworks built the host stand, custom floors, booths and bar using their ultra-high performance concrete reinforced with organic fibers called Ductal. The coffee and service bar illustrates the simplistic beauty of their poured concrete and is finished atop with a reclaimed wood bar. Concreteworks uses post-consumer recycled material and industrial products to replace the raw aggregates normally used in concrete. They have replaced almost 80 percent of the total product weight of their concrete with material that would otherwise end up in landfills. The reclaimed whiskey tank oak ceiling supports a green roof above. Three large skylights allow for natural light to come in, decreasing the need for artificial light during the day. Each skylight comes fit with its own winding glass sculpture by artist Nikolas Weinstein and is made from distorted Pyrex cylinders that sieve the day’s light down to patrons below. Outside parking space was minimized in order to build a street-front 1,600-square-foot garden and dining patio surrounded by unpretentious wood paneling and raised beds filled with herbs. Before he opened a top rated restaurant in Los Angeles (arguably the best if you love fish), Chef Michael Cimarusti grew up on the east coast, in the great state of…you guessed it, Rhode Island, where he spent many a weekend fishing and digging for razor clams. Cimarusti’s resume is not short on experience, having attending the Culinary Institute of America in Hyde Park, NY (graduating with honors) and honing his skills at An American Place (NYC), The Forager House Restaurant (New Hope, PA) and Le Cirque (NYC). 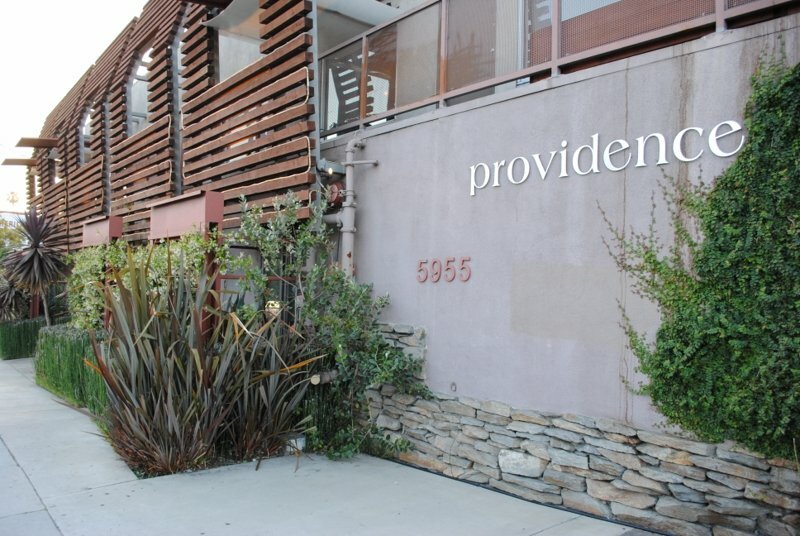 The accolades for Providence include multiple James Beard Award nominations; “Top 50 Restaurants in the United States” by Gourmet magazine; “Best Seafood Restaurant” by Los Angeles magazine; the #1 ranking in “Jonathan Gold’s 101 Best Restaurants” in the Los Angeles Times; and two highly coveted Michelin stars. 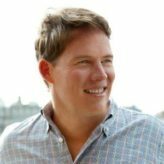 Whit Cook is the Founder/Publisher of GoodLife Report (GLR), a lifestyle website geared towards men and women who like unique products and experiences. GLR editors have written for prominent publications and web sites including Wine Spectator, Cigar Aficionado, Travel+Leisure, Conde Nast Traveler, Huffington Post, Men’s Journal and Pursuitist.